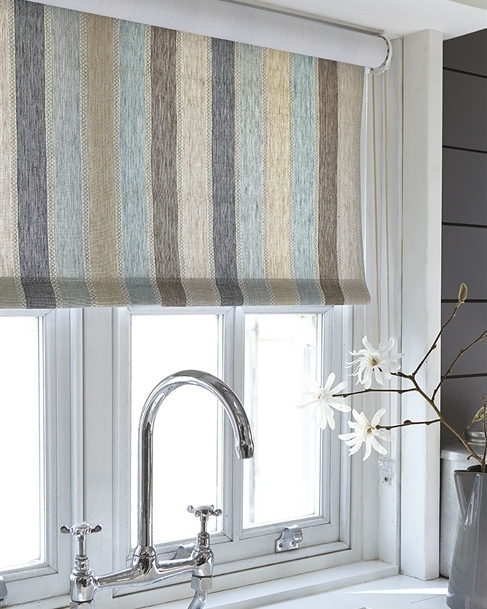 We can make Made to Measure bathroom roller blinds using our designer fabric to your exact requirements, to fit any window size or style. Each of our bespoke blinds for the bathroom can be beautifully made for you by professionals in our traditional workshop based in the UK. They are hand finished with great care and attention and delivered to you well within eight weeks. 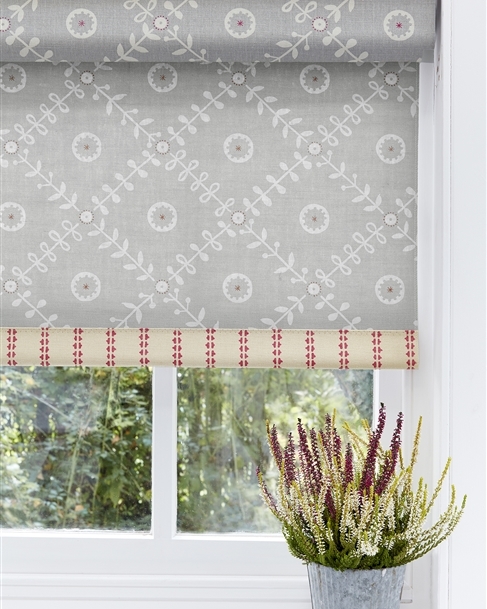 You can find a useful video talking you through how to measure up for blinds by clicking here. 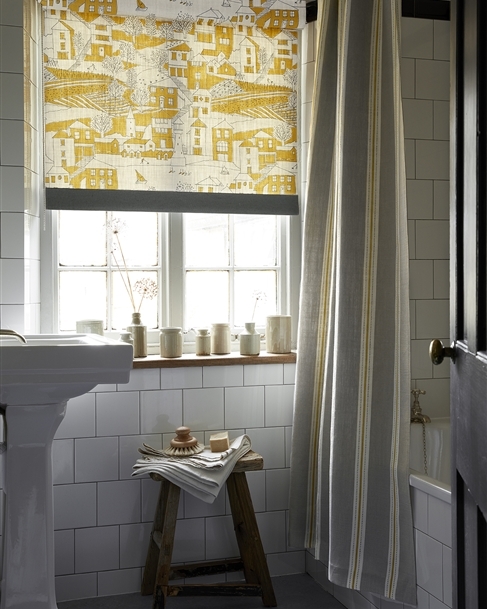 Are roller blinds a good choice for bathrooms? 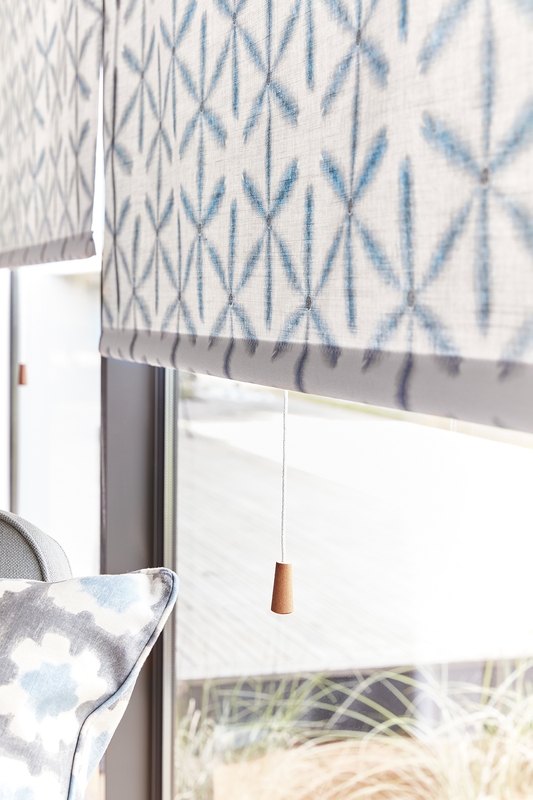 Roller blinds are smart and simple: they cover bathroom windows with a single piece of fabric that can be rolled up on a sunny day, or rolled down to provide shade and privacy. If you use your window sill for storage, you can adjust your blind to create the space you need. Blinds are easy to maintain (a quick dust and they are as good as new) and come in a vast array of styles, patterns and colours. You can choose between a right or left side winder or a central pull. 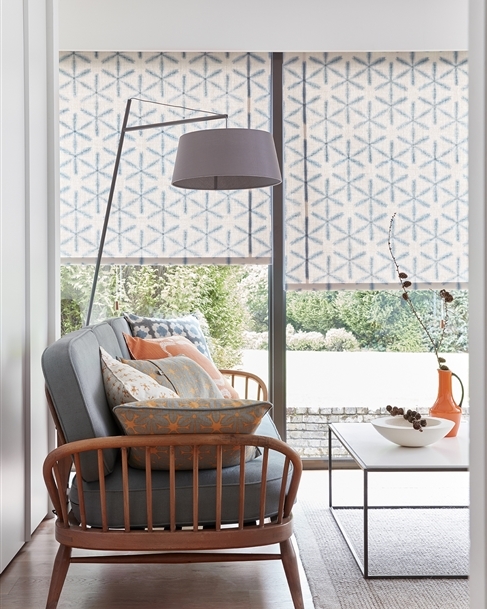 Which type of roller blind should I choose? 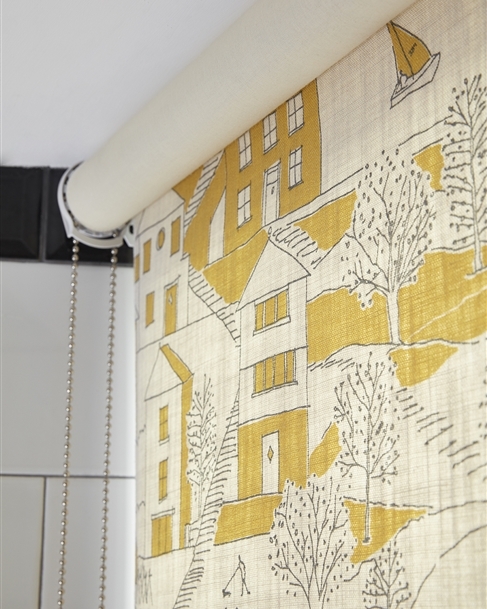 I would recommend for a bathroom window, a Laminated (white backing) roller blind or Processed (no backing but stiffened) roller blind for which my Woven designer fabrics are particularly well suited, and then add a beautiful flat pelmet if the blind is in a recess (highly recommended as it hides the roll from view. It is made to pattern match with the blind. This is an option you choose when ordering your blinds on our web site.